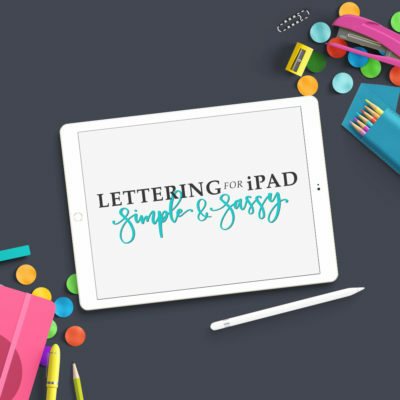 Before you go any further, did you know you can get immediate access to new brushes every month, plus heaps more amazing iPad Lettery Learning content by joining Clarity, the leading online community for iPad Lettering, for US$24/month?! Click here to read more about Clarity and join today. This brush set includes three custom Procreate brushes and two Procreate colour palettes. 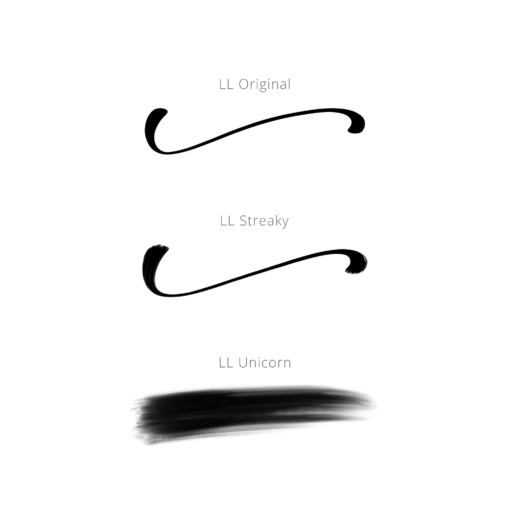 The brushes included are my original “lissletters” brush – the one you see me using most of the time – as well as a new streaky brush that operates in a similar way but with a bit of texture added. 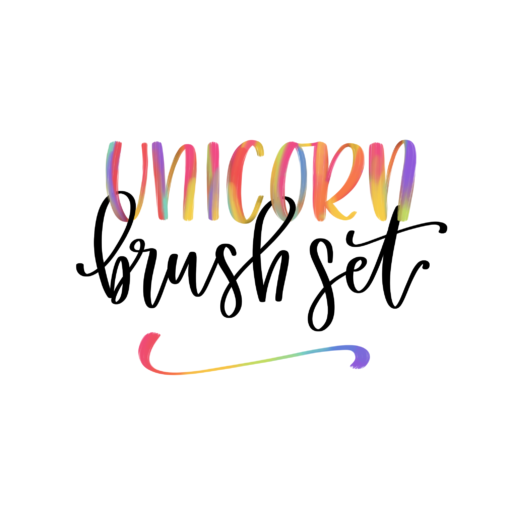 It also includes my new Unicorn brush, a fun way to add that lovely smooshy, blended multicolour effect to your lettering. As an added bonus, I’ve included two of my favourite colour palettes – Rainbow Unicorn Sparkle Farts (named by my eldest daughter and voted YES by my Insta-story watchers!) and Cherry Blossom (all my favourite pinks and teals). 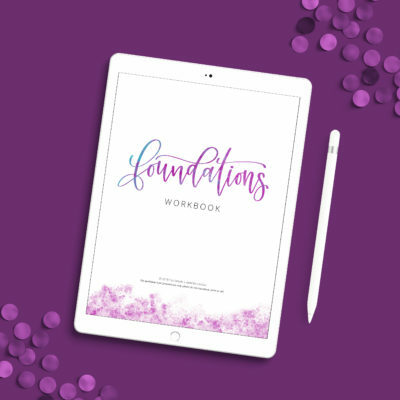 The files are delivered in a zipped up bundle, I recommend either downloading to your computer then transferring to your iPad via AirDrop or your favourite cloud storage solution (Dropbox/Google Drive etc), or using an app like File Explorer to unzip the file directly on your iPad. 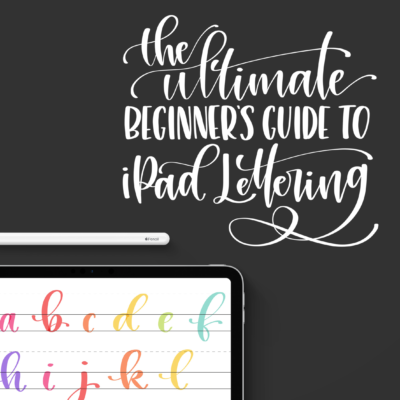 From there, open them in Procreate and it will pop them where they need to go.